A former presidential aide, Doyin Okupe, has being detained by the Economic and Financial Crimes Commission (EFCC), Abuja as he spends second day in their office. 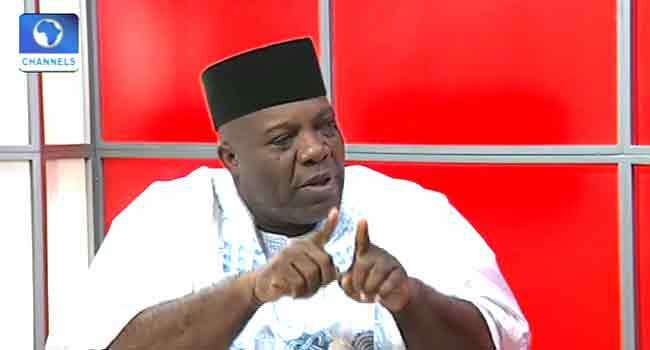 Acting spokesperson of the anti-graft agency, Tony Orilade, told Channels Television on Tuesday that Okupe is in the custody of the agency because he has questions to answer over alleged financial activities in his office when he was in government. Doyin Okupe had earlier on Saturday took to his official Twitter handle to announce that EFCC operatives were at his home in Lagos. He said that he is being confronted with an allegation of cyber crime and was asked to follow them to their office, but they did not have a warrant for his. He, however, declined to follow them, offering instead to visit their office on Monday. He then reported at the office of the anti-graft agency in the Wuse area of the nation’s capital on Monday and has since remained there.